Stratfor: "Επίκειται απόβαση του ρωσικού Στρατού στη Συρία. Αναμένονται χιλιάδες στρατιώτες". Επιβεβαιώνει πλήρως το Stratfor σε αποκαλυπτική έκθεση του τα όσα σας παρουσιάσαμε χτες μιλώντας ευθέως για «απόβαση» του Ρωσικού στρατού στην Συρία ώστε να στηρίξει τον συριακό λαό απέναντι στην εισβολή των τζιχαντιστών ενώ διαβεβαιώνει ότι «ήδη δημιουργήθηκε η βάση των Ρωσικών δυνάμεων εντός πολεμικού αεροδρομίου» προκαλώντας σοκ σε δύση και ΗΠΑ. άφιξη χιλιάδων στρατιωτών που θα πέσουν στην μάχη κατά της ισλαμικής τρομοκρατίας ενώ και η Ρωσική βάση πλησίον της Δαμασκού θα μπορέσει να εμπλακεί επισήμως στις μάχες με το πρόσχημα της προστασίας της βάσης από επιθέσεις. Η Ρωσία είναι στη διαδικασία ευρύτερης επέκτασης της ανάμειξης της στη σύγκρουση στη Συρία. Υπάρχει αναφορά ότι στις 31 Αυγούστου μια ρωσική εκστρατευτική δύναμη έχει ήδη φτάσει στη Συρία δημιουργώντας τις βάσεις για μια αεροπορική βάση κοντά στη Δαμασκό. Αναμένονται χιλιάδες ρώσοι στρατιώτες τις επόμενες βδομάδες, στρατιωτικοί σύμβουλοι, εκπαιδευτές, τεχνικό προσωπικό μαζί με πολεμικές μοίρες, άγνωστο αριθμό ακόμη αεροσκαφών και επιθετικών ελικοπτέρων! Η βοήθεια εκτείνεται από επιπλέον υλικό, πολεμικό εξοπλισμό, πληροφορίες μυστικών υπηρεσιών για τις θέσεις των ισλαμιστών. Υπάρχουν στοιχεία που δείχνουν ότι η Ρωσία αναλαμβάνει ενεργό ρόλο. Το Stratfor "ανίχνευσε" Ρώσους σε πρόσφατες μάχες από υλικό που αποκτήθηκε στη Συρία, υπάρχει επιπλέον συνεργασία με ρωσικό στρατιωτικό προσωπικό ή ακόμη και με ρωσόφωνους μισθοφόρους. Εικάζεται ότι πρόκειται για άνδρες των περίφημων ρωσικών ειδικών δυνάμεων οι οποίοι έχουν «ειδική αποστολή» όσον αφορά την «εξαφάνιση» της ηγεσίας του ISIL αλλά και «επιχειρήσεων» εναντίον των τουρκικών δυνάμεων που έχουν συμμαχήσει με τους τζιχαντιστές παρά τους εικονικούς "βομβαρδισμούς" στους οποίους έχουν προσχωρήσει μαζί με τις ΗΠΑ! 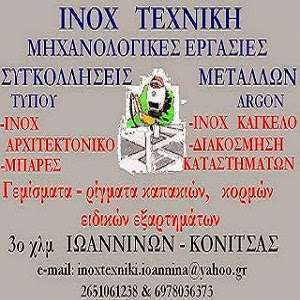 Υπενθυμίζουμε ότι η Ρωσία έστειλε το αποβατικό «Nikolai Filchenkov κατάφορτο με αδιευκρίνιστο αριθμό ρωσικών τεθωρακισμένων ΤΟΜΑ BTR-82A, φορτηγά ΚΑΜΑΖ, GAZ 66 και πυρυαλικά συστήματα ενώ είχε στείλει και ένα ρωσικό An-124 μεταφέροντας M-46 MM1954 130 με εμβέλεια 27 χλμ και 1.000 Kornet-9M133 μαζί και ΠΕΠ BM-27 Uragan. Russia could be in the process of greatly expanding its involvement in the Syrian conflict, according to sources from Israeli news source Ynet. An Aug. 31 report suggests that a Russian expeditionary force has already arrived in Syria, setting up camp in a loyalist air base near Damascus. If the reporting is accurate, it could be an early indication that Russia will throw its heft behind the Syrian air campaign against the Islamic State and the rebel-aligned factions in the country. According to Ynet, thousands of Russian military personnel are expected to arrive in Syria in the coming weeks, including military advisers and instructors as well as logistics and technical personnel. Additionally, members of the aerial protection division are expected, alongside pilots who will fly an unknown number of fighter aircraft and attack helicopters. It is Stratfor's assessment that Russia is steadily increasing its support for Damascus. This assistance ranges from the provision of extra materiel, weaponry and equipment to the greater sharing of intelligence on rebel positions and dispositions. Russian pilots and aircraft mechanics also have a long history of serving in foreign air forces in conflict zones, either at the behest of the government or as private contractors. 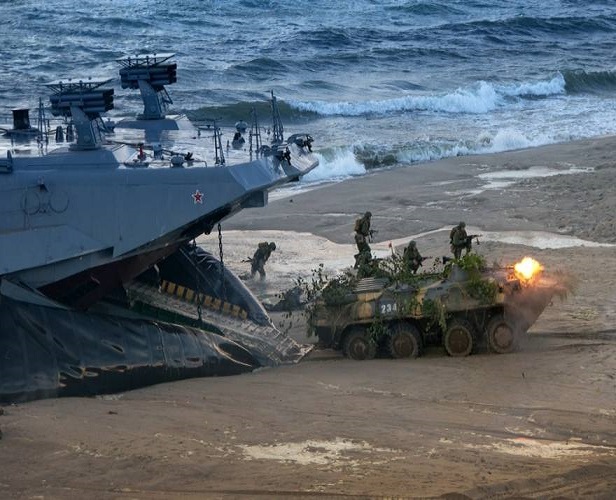 Evidence that Russia is taking a more combative role is already emerging. Stratfor identified Russian-language speakers in recent combat footage obtained from Syria, further corroborating the likelihood that either Russian military personnel or Russian-speaking private military contractors are now actively involved in the conflict. Nevertheless, Stratfor has yet to see concrete evidence of expanded Russian participation in the Syrian conflict on the scale suggested by Ynet. In fact, cases of false reporting are common, especially where direct Russian support is concerned. Previous reports of MiG-31 interceptor transfers to Syria were never proved, leading to subsequent Russian denials. When it comes to providing decisive support to Syria, Russia is torn. Moscow is trying to position itself as a credible power that can negotiate a political solution to the Syrian conflict, yet the Kremlin is also keen to bolster the forces of Syrian President Bashar al Assad. If it hopes to reach a favorable settlement, Russia must ensure that loyalist forces do not suffer devastating losses: A weak Damascus would make it harder for Russia to reach an understanding with the rebels and their backers that would safeguard its overall interests in Syria and the region. Thus, it makes sense for Moscow to bolster Syria's defenses, but a full military commitment is unlikely. Such an intervention in the conflict would undermine Russia's position as a strong mediator, calling into question Moscow's overall objectivity. Regardless, given the inherent volatility of the Syrian conflict, Stratfor will closely watch for any further signs of increased Russian involvement in the conflict. Elsewhere in Syria, Islamic State fighters battling Syrian rebels moved closer than ever to central Damascus. Street battles reportedly raged in the Asali neighborhood of the capital's southern Qadam district over the weekend, killing at least 15 fighters as Islamic State militants seized at least two streets. The district had been relatively quiet since rebels and government forces reached a localized truce a year ago. Stratfor sources indicate that Moscow may finally have been able to get Damascus and the mainstream rebel opposition to broadly agree on elements of a political transition of power in Syria. Russia long supplied Syrian President Bashar al Assad's forces with the vast majority of their weaponry. Though Iran has since replaced Russia as the primary weapons-provider to the Syrian government, the Russians have continued to ship substantial volumes of small arms, ammunition, spare parts and refurbished material to pro-Damascus forces over the course of the Syrian civil war. This aid, along with support from Iran and other allies, has been vital in maintaining the loyalist armies. And over the last week, there have been indications that the Russians are increasing their support for the al Assad government. On Aug. 20, the Alligator-class landing ship Nikolay Filchenkov from the Russian Black Sea Fleet was spotted in the Bosporus (σας το αποκαλύψαμε εδώ). On the deck of the amphibious warship, and within the cargo hold as well, were numerous army vehicles and armored personnel carriers, almost certainly headed for the Syrian coast. The same week, videos emerged of BTR-82A armored personnel carriers in action alongside the Syrian Republican Guard and National Defense Forces in the Latakia Mountains. Bearing markings unusual for Syrian equipment, the vehicles are likely recent deliveries from Russia. Recent photos show more Russian equipment recently arrived in Syria, including GAZ Tigr all-terrain mobility vehicles and UR-77 mine-clearing vehicles. Furthermore, on top of a recent rise in Russian military cargo flights into the two Syrian coastal provinces of Tartus and Latakia, reports from sources close to the Syrian government indicate Russia is enhancing its intelligence-sharing program with the Syrians, including the provision of satellite pictures of the battlefield. The increase in Russian aid is a clear reminder that the Russians are not abandoning the Syrian government. Rather, even as Moscow attempts to mediate a negotiated solution to the Syrian crisis that will safeguard its interests in the region, it will continue to exert considerable effort to make sure the Syrian government can hold its own on the battlefield. It is unlikely that this aid alone will reverse the outcome of the conflict to favor al Assad's forces, because, although generous, it neither fulfills all the Syrian loyalists' weapons requirements nor solves their manpower problems. Still, additional equipment from Russia will bolster the forces as they seek to prevent further rebel gains into their core territories. However, the origins of the funds being used for these weapons are a mystery. Russia may be providing the increased support without direct financial compensation or the Iranians may have financed the latest Russian shipments. Iran is widely suspected to be behind past aid to Syrian loyalists. It is clear, though, that the money is not coming from Syria itself. Al Assad's government is in dire economic straits and is likely unable to purchase more weapons on its own. Stratfor receives insight from many sources around the world, along with reports not available for public consumption. It is important to caveat that many reports are unconfirmed or speculative in nature, though they provide valuable context. Interpreting information and compiling multiple data points to build a picture is part of intelligence analysis. Any and all reporting is carefully filtered before being disseminated by Stratfor, yet some insight is worth sharing on its own merits, such as this account from Syria, below. A flurry of meetings is taking place as stakeholders in the Syrian conflict attempt to work out a power-sharing agreement to replace the government of Syrian President Bashar al Assad. Russia has been driving the negotiation, while Oman acts as a neutral mediator relaying messages to and from Iran, Syria, Saudi Arabia, Turkey, Russia and the United States. Though the diplomatic activity is picking up, it is still an outside effort divorced from the reality of the battlefield, where Syrian rebels are fighting the al Assad government on their own terms. According to reports received by Stratfor, al Assad will remain in power during a transition, then cede his political responsibilities to Farouk al-Shara, who will assume the role of Syria's prime minister during the changeover period. In exchange for remaining as a politically neutered figurehead, al Assad will have to let go Syrian National Security Bureau chief Gen. Ali Mamlouk. The opposition will then choose a replacement for Mamlouk — a person that is acceptable to al Assad. The role of army chief of staff would be awarded to an unspecified Alawite and, in addition, the minister of defense portfolio would go to a former brigade commander from the Syrian Republican Guard, Manaf Tlass, who defected to the West in 2012. Stratfor had earlier received word from sources that Tlass, a Sunni, whose family has a long-standing alliance with the al Assad clan, was preparing to re-enter the political scene after spending much of the civil war in Paris. After a highly publicized defection in 2012, Tlass has been in Paris, keeping a low profile and waiting for the right time to insert himself into negotiations. The Tlass family has a long history with the al Assad family: Manaf's father, Mustafa Tlass, helped rally strong military and Sunni support for al Assad when he took power in 2000. In 2012, we noted that the two families were likely to strike a deal to enable the Tlass family to leave Syria, and we forecast that Manaf Tlass would eventually return to play a role in a power-sharing arrangement. Given that Tlass is a Sunni with a military background who has also maintained close links with the al Assad administration, it is little wonder that he is now allegedly being proffered as a suitable candidate for defense minister in a new Syrian government. Though Stratfor is unable to confirm the specificity of this insight, there is nothing that is particularly implausible. Farouk al-Shara is one of the more acceptable candidates for the opposition: He is Sunni Muslim, a known nationalist, and publically sought a negotiated solution to the crisis rather than a military one. He also has strong family ties to the rebel-dominated Daraa province. On the other hand, he is staunchly loyal to the al Assad government and is deeply embedded in the Baath Party. Tlass meets the criteria of being a Sunni, but it will be difficult for him to win the trust of the broader Sunni rebellion, which perceives him as being too close to the al Assads. He will also be regarded as out of touch with reality on the ground after spending years in Europe instead of joining the fight. As Stratfor previously noted, any agreement between Moscow and the Syrian National Coalition is largely irrelevant if it does not have tacit support from fractious rebel groups. The Syrian National Coalition does not speak for the majority of rebel factions, many of which are achieving limited tactical success against Damascus and the Islamic State. This may influence the rebel's willingness to accommodate a political transition, or not. Stratfor closely monitors the behavior of all components of the Syrian conflict and is alert for any change in the political dynamic that could lead to a negotiated solution to the crisis. A previously arranged cease-fire between Syrian rebels and loyalist forces, including Hezbollah elements, collapsed over the weekend. Originally scheduled to end Aug. 16, the cease-fire was in part mediated by Iran and Turkey four days earlier. Centering on the towns of Zabadani, Fuaa and Kafriyeh, the temporary cessation of hostilities showed promise when it was extended beyond the agreed-upon 48-hour duration. Ongoing negotiations seek an end to the conflict in Syria, and localized cease-fires provide important foundations on which to build. However, the collapse of the cease-fire amid entrenched disagreements and mistrust only serves to emphasize the deep divides that exist in Syria. Such divisions will make any comprehensive negotiated solution to the crisis extremely difficult to achieve. Farther north, the Islamic State showed its determination to hold onto territory in Aleppo province, despite the overarching threat from U.S. and Turkish airstrikes. By continuing its attacks against rebel groups in the area, the Islamic States hopes to undermine a key component of the Turkish-American plan: to train and support certain rebel factions that can then be employed as proxy forces on the ground in Syria. The Islamic State made gains around the key town of Mare, undoubtedly assisted by the withdrawal of Jabhat al-Nusra forces from front-line positions against the Islamic State in Aleppo province. Damascus recently launched its own offensive in Aleppo province, directed toward Kweiris Air Base, currently besieged by the Islamic State. The latest indications from the ground are that the offensive has already been halted, with little headway made against the extremist group. The loyalist forces simply could not muster enough combat power for a successful push against Kweiris, highlighting the precarious position the air base defenders find themselves in after years of being under siege. Forces loyal to Syrian President Bashar al Assad have launched an offensive in rural Aleppo province aimed at reaching the government-held Kweiris air base, which is currently under siege by the Islamic State. With the disastrous August 2014 loss of Tabqa air base fresh in their minds, the Syrian government is keenly aware that an Islamic State massacre of the Kweiris defenders could trigger another wave of popular discontent among the loyalist population. Indeed, over the last few days, there have been a few demonstrations in the government stronghold of Tartus calling on Damascus to break the siege and to get its soldiers out of Kweiris air base. The air base is around 20 kilometers (12 miles) from the nearest loyalist lines. The government push to break the siege is a risky endeavor because it is being launched with hastily gathered forces at a time when the loyalists are under significant pressure across the country. The forces will have to contend with potential Islamic State attacks on both flanks and the possibility that the relief force might itself become cut off from assistance. For the defenders of the Kweiris air base, however, the relief force may be their last chance: They have been under siege now for years and are suffering from steady attrition. 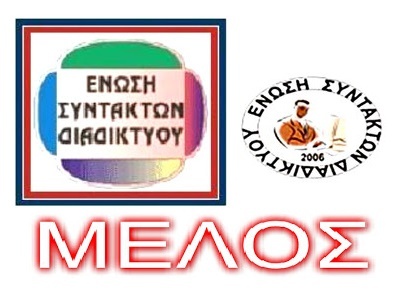 Δημοσιεύθηκε από Άκης στις 9/01/2015 07:41:00 μ.μ.. Εσωτερικές ετικέτες ΚΟΙΝΑ, ΠΑΓΚΟΣΜΙΟΠΟΙΗΣΗ . 0 σχόλια for "Stratfor: "Επίκειται απόβαση του ρωσικού Στρατού στη Συρία. Αναμένονται χιλιάδες στρατιώτες"."